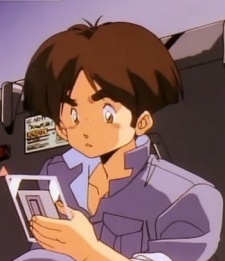 Haruo is Kouji's friend and works at a shop called Onose Motors. MADOX falls unnoticed into Haruo's truck when the SDF's truck transporting it gets caught in an accident. After Kouji decides to take MADOX, Haruo helps him transport it to Kouji's house.